From the publisher: In the 7th book in the series, Cait finds a cat locked in the confessional at Saint Patrick's Catholic Church, which leads to the discovery of a body locked in the trunk of a car. Cody is dealing with a life changing decision of his own, and Finn has multiple crimes to deal with, so Cait enlists Tara's help to track down a killer. 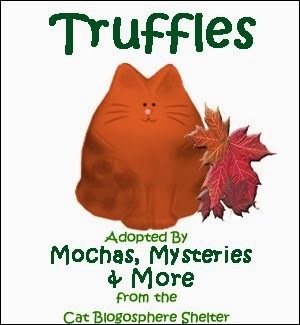 Tortie Shorties Review: Kathi Daley's Whales and Tails mystery series never disappoints. In A Tale of Two Tabbies, Cait stumbles upon a cat locked in a confessional booth during choir practice at St. Patrick's Catholic Church. 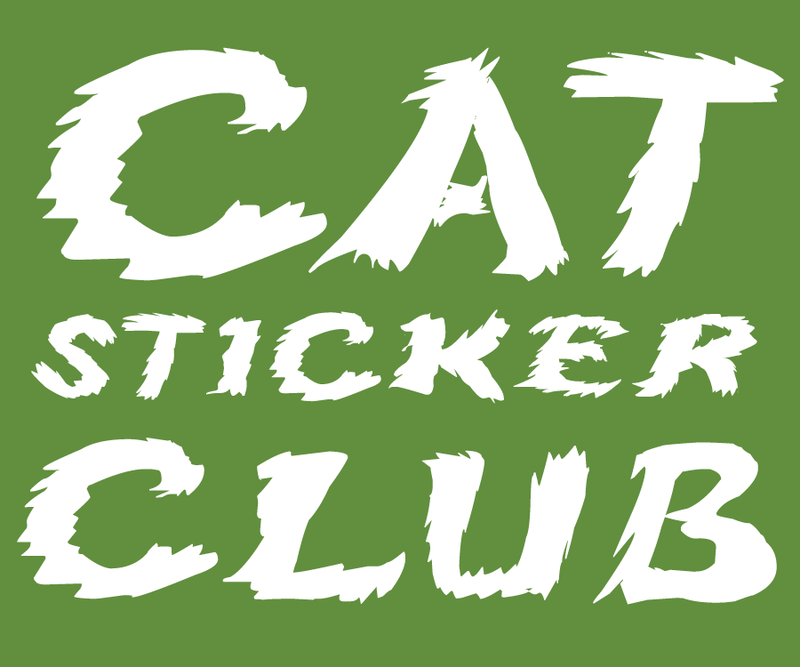 The kitty is identified as Sydney, belonging to Theresa Lively, who is noticeably absent from practice, so Cait and Cody decide to return Sydney to her home. At Theresa's house they discover it ransacked and Theresa missing, but it's not long before she turns up dead in the trunk of her car. Sydney leads Cait to a very important clue: a notebook with mysterious letters and numbers that point towards a blackmailing scheme, one of which hits extremely close to home for Cait. Each book in this series is a stand-alone, but I would highly recommend reading it in order. 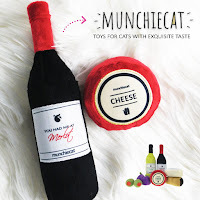 Each book builds upon the relationships between the characters, and this one in particular marks a very important life decision for Cait's beloved Aunt Maggie, owner of Harthaven Cat Sanctuary. 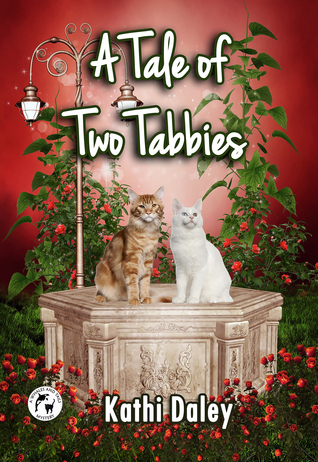 Giveaway: Leave a comment by noon eastern on Friday, March 11th for your chance to win an ebook copy of A Tale of Two Tabbies. Open worldwide! From the publisher: Josie Rizzo has a lot on her plate. (Double bacon cheeseburger not included) She and her furry companion, Petey, set out to start fresh in the food loving town of Greenville. 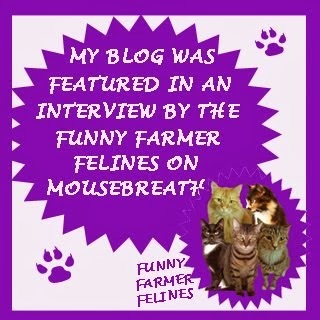 Josie is excited to introduce the readers of her food blog to the town's delicious creations. 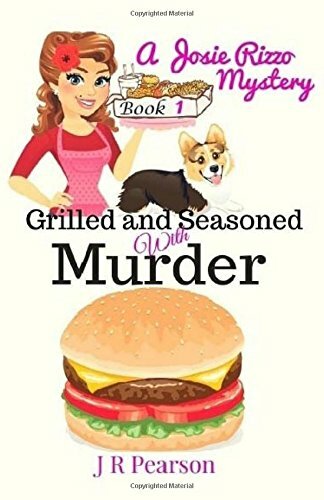 But when a young woman is murdered at a local burger joint, Josie must sacrifice all she has planned to accomplish to prevent a person from her past from being wrongly accused of the woman's death. And things start to heat up when the killer sets his sights on Josie. Will she be able to enjoy Greenville's belly-rubbing cuisines and begin a new chapter in her life? Or will the killer cut Josie's dreams short and make sure that basket of onion rings are her last? 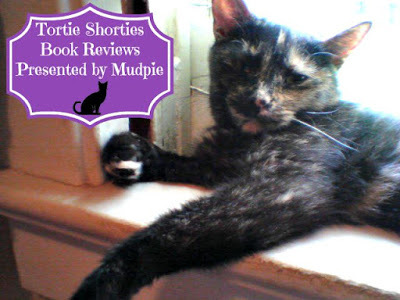 Tortie Shorties Review: In the past couple weeks I've downloaded three books where the protagonist is a blogger. I just love that. None are pet bloggers though so maybe that would be a good way for me to merge my passions for blogging, animals and cozy mysteries! In this one Josie is a food blogger with aspirations to write for the popular food magazine Forks and Knives. She's recently moved from her family home with her Welsh Corgi Petey to Greenville, a foodie paradise. While out to dinner with a friend she's shocked to see Tony Santino, a ghost from her past who disappeared following his parents' murder-suicide. When he becomes the main suspect in a murder they renew their friendship while planning to catch a killer. 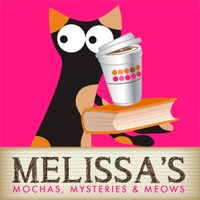 Your book reviews never disappoint, Mudpie and Melissa! The reads you choose always sound and look like such fun. As always, thanks for sharing! Purrs! Thanks for the reviews! more good books to add to my to-read list. Thank you for the review! This book sounds like a fun read. Those both look like great books. Such good reviews. You all have a great day. 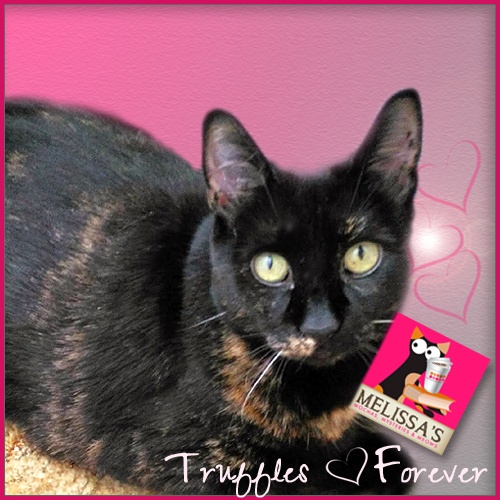 Thanks, Melissa (and Mudpie). Hope your day is a good one. A Tale of Two Tabbies sounds great. Nice reviews Miss Mudpie. I will have to look into the Tale of Two Tabbies series - thank you! Thanks for another good review of one of Kathi's books. I must be caught up on the Whales and Tales series so it would be really nice to win. Thanks for the contest. How does your mom find the time to read all of these great book? Mommy wants to know. You do great reviews Mudpie. Looks like my to read list just got larger. Love your reviews. Thanks for the giveaway. My husband and I love Kathi Daley books. I enjoyed your review. Thank you for your giveaway and a chance to win. Thanks for the great reviews. I love cozy mysteries. Thanks for the chance to win. Looks good! Love cozies, love cats. :) Thanks for the chance. I hope this is where to make the cpomment for a chance to win A Tale of Two Tabbies. Sure hope I win and thank you for the chance to win. I just found your blog. What a treasure! I'm always looking for new books to read, especially cat and/or animal related. Thanks for the reviews. I just love this series! Can't wait to read this one!! Thanks! Just read Grilled and Seasoned With Murder by JR Pearson. Good fast read.Food; humor, action and the start of a romance. This book will keep your attention. I can't wait to read more. I would love a eBook of A Tale of Two Tabbies. Sounds like an interesting book. Thank you.